Our online EQ metric and 30+ online courses are all designed for your Personal, Team and Executive LEADership. LEADon® provides supplementary research-based resources The Leading Edge: 9 Strategies for Improving Internal and Intentional Leadership and Corporate Family Matters: Creating and Developing Organizational Dynasties. LEADon® also offers numerous blogs, podcasts and white papers on relevant topics for today’s exceptional leaders. Online learning can provide valuable knowledge in a convenient delivery method, however, we recognize that there are times that you may be left with a desire for more. We can provide onsite consultation, keynotes, WebEx, and coaching. Please contact us if you have additional needs that you believe we can help you or your company with. © 2019 LEADon Inc. All rights reserved. 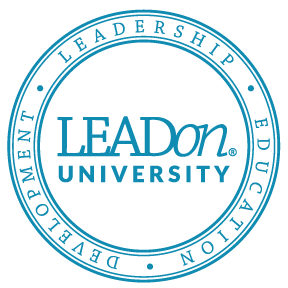 All Products and Courses are federally Registered ® to LEADon, Inc.